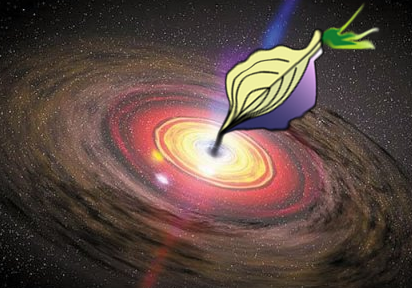 A BlackHole (Exploit Kit) absorbing an Onion (Ring), the future of Botnets? This information security week has offered many interesting points: the brand new CRIME attack against SSL/TLS, the release of BlackHole Exploit Kit 2.0 that promises new stealth vectors of Drive-By download infections, the takedown of the emerging Nitol botnet by Microsoft, and, last but not least, the first (?) known example of a new generation of a C&C Server leveraging the anonymization granted by Tor Service. The latter is in my opinion the news with the most important consequences for the Information Security community, since delineates the next step of Botnets’ evolution, after the common, consolidated, C&C communication schema, and its natural evolution consisting in Peer-to-Peer (P2P) communication. The first (I wonder if it is really the first) discovery of a Botnet command server hidden in Tor, using IRC protocol to communicates with its zombies, has been announced in a blog post by G-Data. Of course the advantages of such a similar communication schema are quite simple: the Botnet may use the anonymity granted by the Deep Web to prevent the identification and the likely takedown of the server, and the encryption of the Tor protocol to make traffic identification harder by traditional layers of defense. Two advantages that greatly exceed the Tor latency which represents the weakness of this communication schema. And even if every now and then good guys are able to obtain a victory (as the Nitol takedown), the war is far from over.